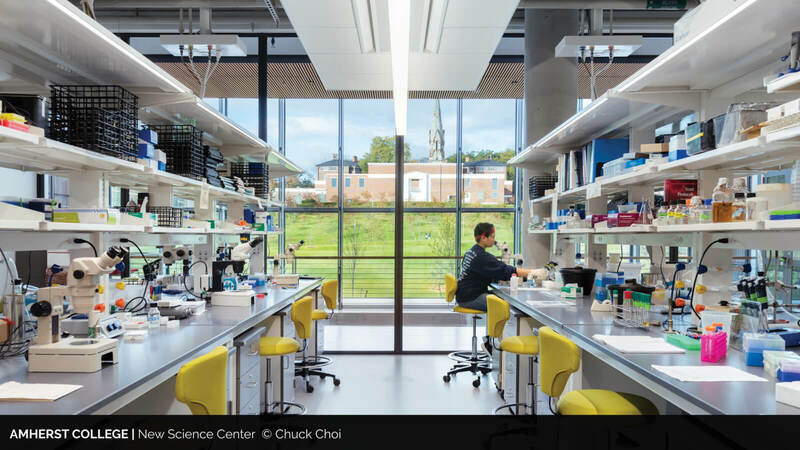 In the late 1970s, we were presented with the opportunity to design the Sherman Fairchild Biochemistry Laboratory at Harvard, one of the first purpose-built biochemistry labs in the world. 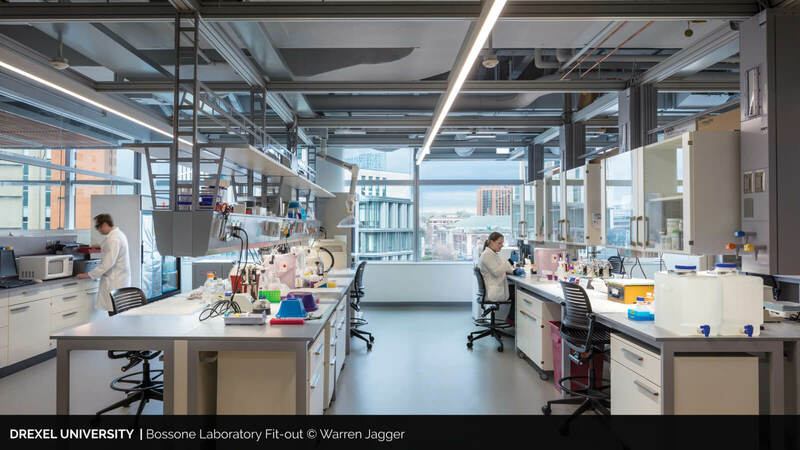 This groundbreaking project set the firm on a trajectory to become a national leader in the design of buildings for academic science, research and healthcare. 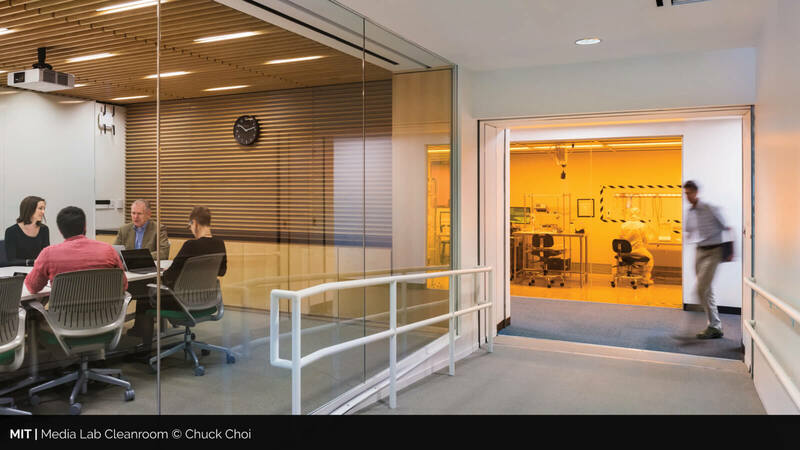 When designing these spaces, we afford the same level of attention across all aspects of the program, including laboratories. 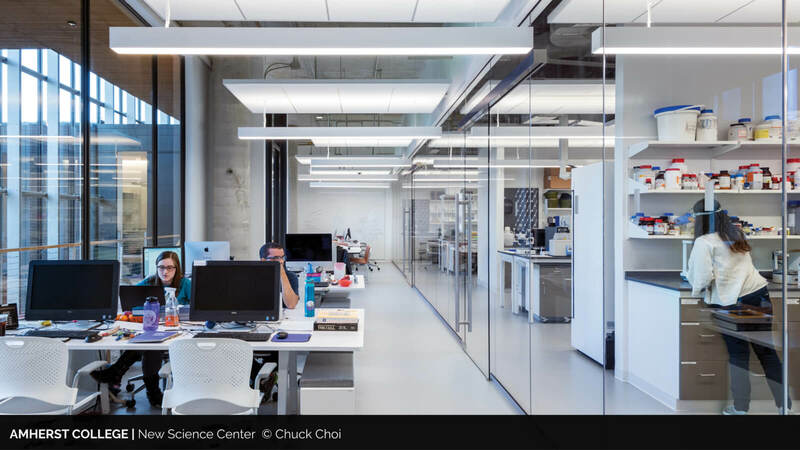 We believe that these spaces for scientific discovery deserve to be finely-tuned to suit their occupants and encourage high-level focus. 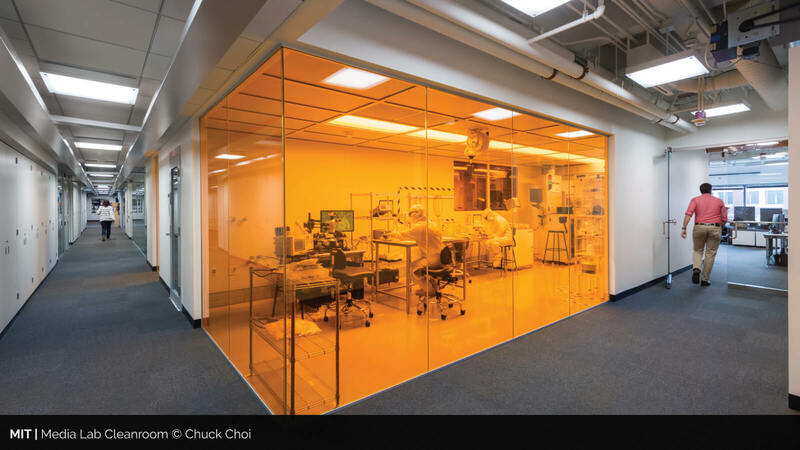 We have been challenged time and time again to design innovative laboratories for a variety of clientele. 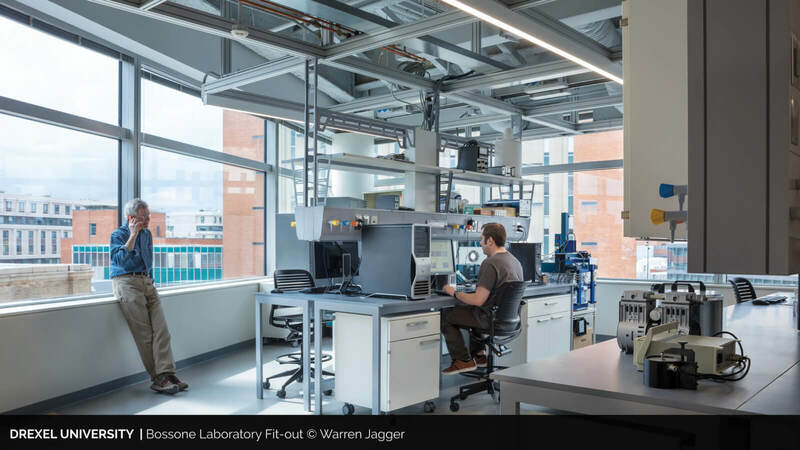 It is exciting to see these labs in use, and to imagine what is yet to be discovered in these spaces. 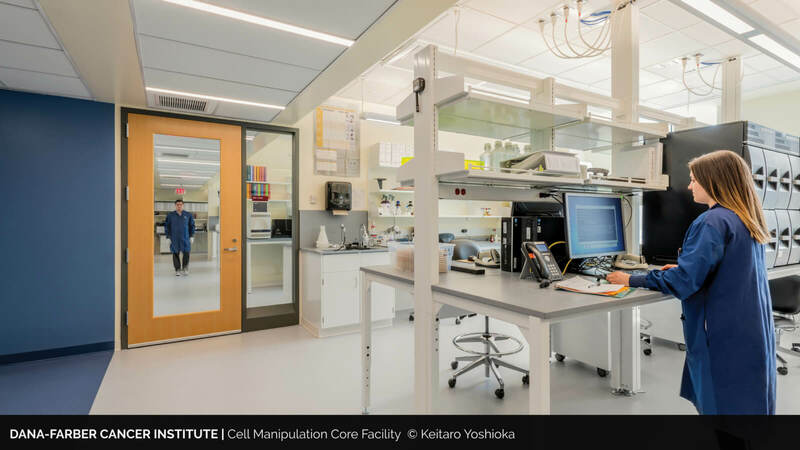 From layered cleanrooms for the Massachusetts Institute of Technology and the Dana-Farber Cancer Institute to 68 distinct research and teaching labs at the new Science Center at Amherst College, we have been inspired by where our work has taken us in the past year. 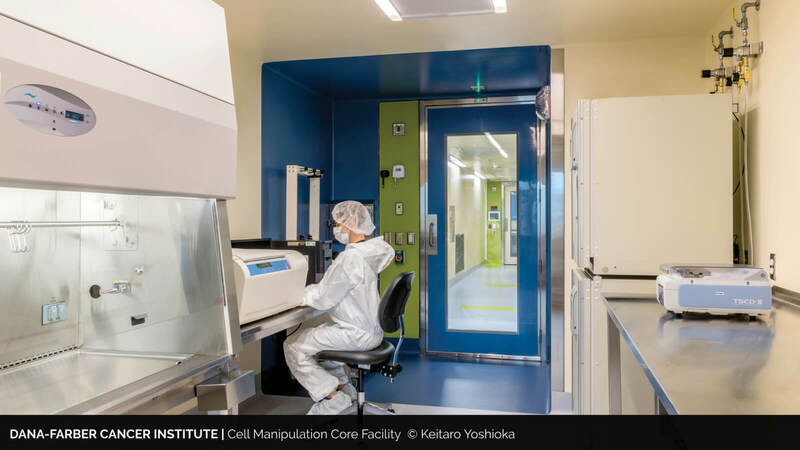 Throughout 2018, we had the opportunity to photograph these spaces and catch a glimpse of how these labs will continue to be used. 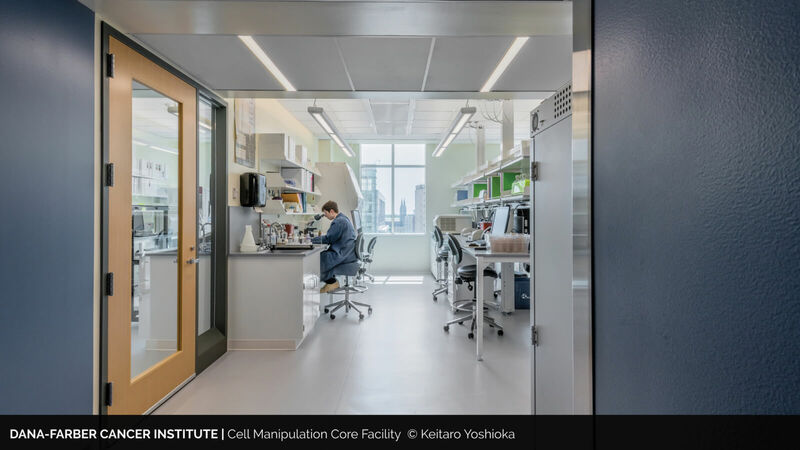 Today, we’d like to showcase the photography of some our newest laboratories at the Dana-Farber Cancer Institute Cell Manipulation Core Facility, the Drexel Bossone Laboratory Fit-Out, the Massachusetts Institute of Technology Media Lab Cleanroom and the Amherst College Science Center.